Escape the overwhelming city center and take to the water for views that not everyone gets to experience when in Cairo. 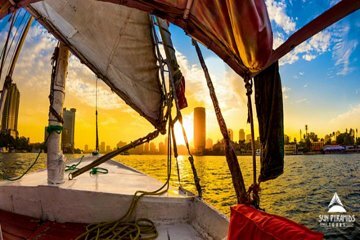 Flexible start times mean you can decide whether to watch the sunrise or see the sparkling lights of Cairo at sunset on this traditional Egyptian “felucca” sailboat tour. It’s ideal for those pressed for time, or return visitors looking for a new experience.